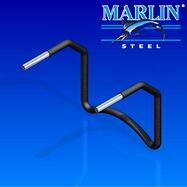 Here on the Marlin Steel blog, we often stress the importance of our engineers, how they often come up with design suggestions for making your custom wire forms stronger, tougher, and more functional. In many cases, one of the most important considerations for a basket’s design is the material it should be made out of. When picking out a type of material for a materials handling basket, it is often tempting to try to save money by choosing a cheaper type of metal, but doing so can actually cost you money in the long run. In fact, Marlin Steel recently finished an order to replace metal baskets made by another manufacturer who made the original baskets from the wrong kind of metal for the region they were being used in. Why did the baskets in the above example need replacing? Because, while the metal used had enough tensile strength to hold the parts being washed and survive the wash process, the other manufacturer didn’t take into account the fact that the client’s business was near the ocean, with lots of refreshing saltwater air. 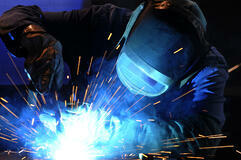 The baskets were made out a low-grade steel that had little or no corrosion resistance. So, over the course of a few months, the baskets began to corrode from exposure to particles of salt in the air. Loss of tensile strength. As the metal of these baskets was eaten away by exposure to the salty air, the baskets became frailer, eventually losing their ability to handle the stresses of the client’s wash process, limiting the size of each basket’s load or worse, having baskets fail under the weight of a full load during the wash process. Loss of shape. For parts washing processes, the shape of a basket is more than just an aesthetic choice, it’s a key part of ensuring functionality. Many parts washing machines need baskets to be shaped just so in order to fit right and ensure smooth operation. A rusty, misshapen basket that has been deformed by corrosion is much more likely to jam in an automated wash process than a pristine one. Lowered production capacity. Because fewer parts could be processed at once, as well as holdups from jams caused by broken or stuck baskets, productivity is lowered. For example, say a factory can normally complete a wash/finish cycle once every five minutes, with 10 parts in each load. That’s 960 parts finished during an eight-hour shift. If a jam takes ten minutes to clear, that shift will be two loads short (20 parts). If just one out of every ten loads jam, that would be nine or ten jams per shift, or 180-200 parts short of goal. Safety Issues. When manually handling parts washing and materials baskets, having a clean, easy to grip surface is important, as is the tensile strength of the basket. Rusty baskets, when handled with bare hands, can cause infections. Also, if a basket with a heavy load fails when being hand-carried, the risk of worker injuries is incredibly high. This can result in expensive delays, loss of labor, and workman’s comp claims. These are just a few of the common consequences of using corroded or damaged baskets that were made from the wrong material. In the end, the client on the coast ended up having to order all-new baskets. On this order, however, they consulted with a Marlin Steel engineer who recommended a simple fix for their basket design: using Grade 316 Stainless Steel. 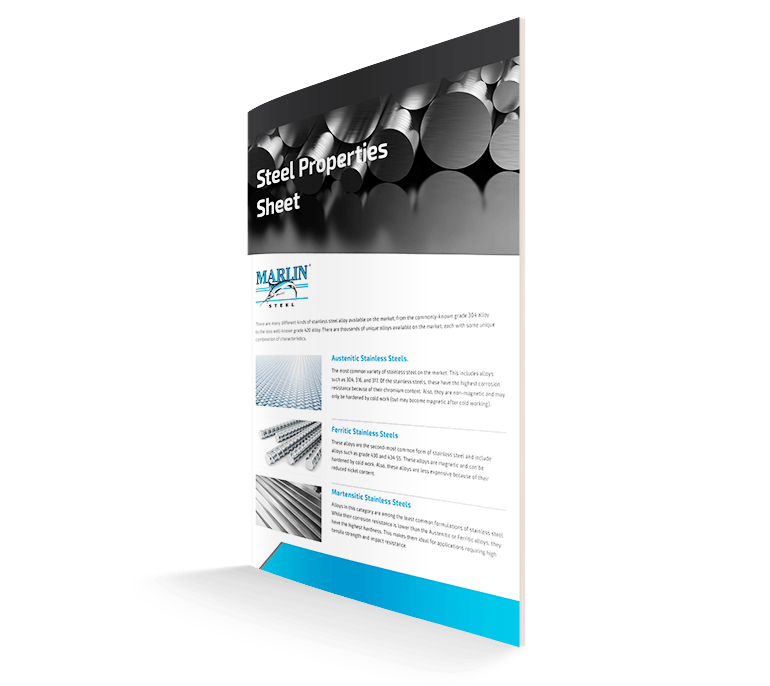 This material has a high natural corrosion resistance, making it perfect for use in wash processes that feature corrosive chemicals, or regions with salty air. In just three short weeks, Marlin Steel was able to design the baskets, fabricate 2,300 units, and ship them to the client, who was located in Puerto Rico. Thankfully for the client, these new baskets are designed with the salty air in mind. Because of this, the new baskets are working fine and production can move smoothly. This is one of the reasons why it’s so important to make sure that your custom wire baskets and other items are made from the right materials. If the first manufacturer had consulted with the client and recommended the right material to begin with, then a reorder wouldn’t have been necessary in the first place and the client could have saved thousands of dollars by not having to order a second set of wire forms. Get safer, tougher, longer-lasting baskets by consulting with an experienced mechanical engineer to find out what the right material for your baskets is today. Your company budget will thank you later.